I can stop anytime. Really. 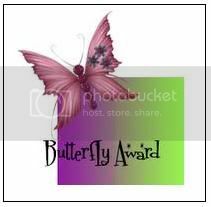 I'm on a blogging break, but will be checking in from time to time. Thanks for stopping by! It's Double Trouble...With a Contest!! 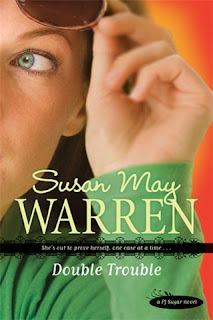 Welcome to the blog tour for Susan May Warren's latest release, Double Trouble! Take a look at what it is all about and be sure to enter the fantastic contest below. With one solved case under her belt, PJ Sugar is ready to dive into her career as a private investigator. Or at least a PI's assistant until she can prove herself to Jeremy Kane, her new boss. Suddenly PJ's seeing crime everywhere. But is it just in her head, or can she trust her instincts? When she takes on her first official case--house-sitting for a witness in protective custody--Jeremy assures her there's no danger involved. But it soon becomes clear that there is someone after the witness . . . and now they're after PJ, too. Double Trouble is the second book in the PJ Sugar series and it does not disappoint! If you missed the first book (Nothing But Trouble) be sure to grab it too. Where Nothing But Trouble leads us from PJ's haunted past and into a new life, Double Trouble takes us on the "Ok, I'm not the old me anymore, now what?" journey. Along the pathway PJ wrestles with conflicting feelings about who she really is and struggles with others not letting go of the old PJ. The big step away from that old troublesome label lit a fire under PJ to conquer the world (or at least the greater Kellogg area) and prove to everyone that she really can be somebody. But true to PJ's passionate nature, she jumps in with both feet and then looks around afterward. She wants to help people, but finds herself hurting everyone she loves and putting her own life in danger. Can she trust her instincts, or is she still just a magnet for disaster? PJ feels like a different person than she was in high school, but maybe all she will ever be is trouble after all. Sometimes sequels can be read as a stand-alone novel, but I highly recommend reading Nothing But Trouble first to get the full effect. Both are excellent summertime reads...or if you're ready for winter to be over (like I am!) go ahead and dive in and find yourself laying on a warm beach, blanketed by the sun. Special thanks to LitFuse for providing a copy of Double Trouble for me to read and review! Be sure to enter the Double Trouble Prize Package Giveaway by clicking on the ‘Double the Sass” button below! Susan’s giving away an iPod prize package that is anything but troubling! Check it out! 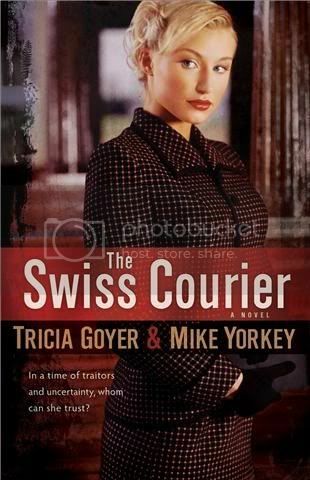 Welcome to the blog tour for Tricia Goyer and Mike Yorkey’s Swiss Courier! Keep reading for how to win a signed copy of the book…and some Swiss chocolate!! Prepare to be transported back in time and ripped from your cozy, secure life to a place of war and uncertainty. Swiss Courier will pull you in and open your eyes to the cruel reality of life during Hitler’s reign in Nazi Germany. But it won’t leave you hopeless. Experience the selfless heroism of ordinary people who stand up and risk their lives trying to make a difference in the war. It is full of suspense, loyalties, and betrayal. To be fair, during the first part of the book I thought that the history seemed somewhat forced into the story. The facts were interesting, but distracting the way they were presented. By the second half of the book, though, I was thrown into the story and wondering how the characters were going to get out of each situation and hoping their missions succeeded despite unimaginable kinks thrown their way. Loved the ending! But I’m not going to spoil it for you. Thank you, Litfuse, for providing a copy of Swiss Courier for me to review! Read an excerpt of Pearl Girls! We all have pain and hard times in our lives that can become a pearl if we let it. 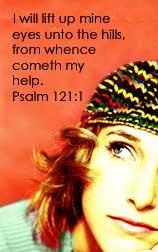 It’s easy to feel alone in our pain and that no one understands and even that God has abandoned us when we needed him. Pearl Girls is full of stories of women who have felt the same way, but found the pearl through the pain. I appreciate the wide variety of experiences covered in this book that reach out to the many different aspects of life. 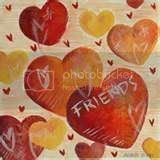 And if you’ve ever listened to a fantastic speaker or read books from amazing authors and thought, “If only my life were so put together like that,” then you’ll be blessed to hear from just such women who have struggled with hard times and sadness and see that you’re not alone and that good really can come out of difficult situations. Thank you, LitFuse, for providing a copy of Pearl Girls for me to review. Want to see what others are saying about Pearl Girls? Check out the rest of the tour here! Nicole O’Dell lives in Illinois with her husband and six children—including triplets! Nicole has a heart for young girls and a special passion for the relationships between mothers and daughters as they approach the teen years. Her new book series, Scenarios Interactive Fiction for Girls, is designed to help girls develop sound decision-making skills and debuts in August 2009 with the release of the first two books. Her writing also includes devotionals and Bible studies for women of all ages. The first bright, yellow light of day was starting to peek through the blinds covering her window. Lindsay Martin stretched and yawned as she slowly woke up. After tossing and turning much of the night, she was still sleepy, so she turned over and pulled the puffy pink comforter up to her chin and allowed herself to doze off for a few more minutes, burying her face in her pillow. But wait. She sat up quickly, remembering it was the first day of school. With no time to waste, she jumped out of bed. She had carefully selected her clothes the night before, and the khaki pants and screened-print tee were still hanging on her closet door just waiting to be worn. But, after thinking about it, they seemed all wrong. Frantically plowing through her closet for something different to wear, Lindsay pushed aside last year’s jeans and T-shirts, and found the perfect outfit: not too dressy, not too casual, not too anything. As an eighth grader, she wanted to look cool without looking like she was trying too hard—which was the fashion kiss of death. Confident she had selected the perfect outfit, she padded off to the bathroom to get ready to face the day. “Now, you know I’m not going to let you head off to school without breakfast, so at least take this with you.” Mom held out Lindsay’s favorite breakfast sandwich: an English muffin with fluffy scrambled eggs, cheese, and two slices of bacon. Hurrying toward the school, Lindsay munched on her sandwich along the way. Nerves set in and, halfway through her sandwich, her stomach wouldn’t allow her to finish it; so she tossed what was left into a nearby trash can where it fell with a thud. After her short walk down the tree-lined streets, she arrived at the meeting spot—a large oak tree in the front yard of the school—about fifteen minutes early. Shielding her eyes from the sun and squinting in eager anticipation, Lindsay watched the street for the first sign of her three best friends. She expected Sam and Macy to arrive by school bus—they lived too far away from the school to walk, so they generally rode the bus together. Kelly didn’t live too far away, but her mom usually dropped her off before heading to her job as an attorney in the city. Lindsay was thankful she lived so close to the school. She loved being the first one there to greet her friends each morning. Since her mom didn’t have to leave for work, and Lindsay didn’t need to catch the bus, she had a bit more flexibility and could save a spot for them under their favorite tree. The bus pulled into the driveway, squealing as it slowed. It paused to wait for the crowds of students to move through the crosswalk. When it finally parked, the doors squeaked open and students began to pour off the bus just as Kelly’s mom pulled up to the curb right in front of Lindsay. “Bye, Mom!” Kelly grabbed her new backpack out of the backseat and jumped out of the car. At almost the same time, Macy and Sam exited the bus after the sixth and seventh graders got off. Excitedly, the four girls squealed and hugged each other under their tree, never minding the fact that they had been with each other every day for the entire summer. They shrieked and jumped up and down in excitement as if they had been apart for months. They were eighth graders. This was going to be the best year yet. With eager anticipation, each one of them could tell there was something more grown-up and exciting about the first day of eighth grade, and they were ready for it. With a few minutes to spare before the bell rang, the girls stopped and leaned against their tree for a quick survey of the schoolyard. It was easy to identify the sixth graders. They were nervous, furtively glancing in every direction; and, the most telltale sign of a sixth grader, they had new outfits and two-day-old haircuts. The girls easily but not fondly remembered how scary it was to be new to middle school and felt sorry for the new sixth graders. The seventh graders were a little bit more confident, but still not nearly cool enough to speak to the eighth graders. Most students, no matter the grade, carried backpacks and some had musical instruments. Some even had new glasses or had discarded their glasses in favor of contacts. “Look over there.” Kelly pointed across the grassy lawn to a student. A new student, obviously a sixth grader, struggled with his backpack and what appeared to be a saxophone case. Two bigger boys, eighth graders, grabbed the case out of his hands and held it over his head. They teased him mercilessly until the bell rang, forcing them to abandon their fun and head in to the school. The girls shook their heads and sighed—some things never changed—as they began to walk toward the doors. Kelly and Sam both stopped to reach into their backpacks to turn off their new cell phones before entering the school—it would make for a horrible first day of school if they were to get their phones taken away. “You’re so lucky,” Macy whined as she watched Kelly flip open her shiny blue phone, carefully decorated with sparkly gems. Sam laughed and turned off her sporty red phone, slid the top closed, and dropped it into her bag. Macy’s parents wouldn’t let her have a cell phone until high school. “When did you guys get cell phones?” Lindsay asked. “Same with me. I might as well not have it. I can call anyone who has the same service or use it as much as I want to on nights and weekends, but that’s it,” Sam complained. “It’s still way more than I have. You’re so lucky,” Macy said emphatically. With cell phones turned off, backpacks slung over shoulders, lip gloss perfectly accenting skin tanned by the lazy days of summer, and arms locked, the four best friends were ready to enter the school to begin their eighth-grade year. Seeing their reflection in the glass doors of the school as they approached it, Lindsay noticed how tall they’d all become over the summer. Four pairs of new jeans, four similar T-shirts, and four long manes of shiny hair—they were similar in so many ways, but different enough to keep things interesting. Kelly Garrett was the leader of the group. The girls almost always looked to her to get the final word on anything from plans they might make, to boys they liked, to clothes they wore. She was a natural leader, which was great most of the time. Her strong opinions sometimes caused conflict, though. Sam Lowell, the comedienne of the group was always looking for a way to entertain them and make them laugh. She was willing to try anything once, and her friends enjoyed testing her on that. Macy Monroe was the sweet one. She was soft-spoken and slow to speak. She hated to offend anyone and got her feelings hurt easily. Then there was Lindsay. She was in the middle, the glue. She was strong but kind and was known to be a peacemaker. She often settled disputes between the girls to keep them from fighting. Amid complete chaos—students talking, locker doors slamming shut, high-fives, and whistles—the first day of school began. There was an assembly for the eighth graders, so the girls head toward the gymnasium rather than finding their separate ways to their first classes. Unlike the younger students who had to sit with their classes, eighth-graders could choose where they wanted to sit. The girls filed into the bleachers together, tucking their belongings beneath their feet carefully so that they wouldn’t fall through to the floor below. The room was raucously loud as 150 eighth graders excitedly shared stories of their summers and reunited with friends. Lindsay joined in, but her mind wandered as she looked down the row at each of her best friends. She remembered the great summer they had. They spent many days languishing in the hot sun by Kelly’s pool. She remembered the day when Sam got a bad sunburn from laying on the tanning raft for hours and not listening to the girls when they suggested she reapply her sunscreen. She wanted a good tan, and she paid the price. Kelly had the bright idea of using olive oil and lemon juice to take away the sting—she thought she had heard about that somewhere—but all it did was make Sam smell bad for days along with the suffering that her burns caused. They also had gone shopping at the mall whenever Sam’s mom would pile them into her SUV and drop them off for a few hours so they could check out the latest fashions and watch for new students—boys in particular. Their favorite mall activity was to take a huge order of cheese fries and four Diet Cokes to a table at the edge of the food court so they could watch the people walk by. They had a blast burying each other in the sand at the beach whenever Macy’s dad took a break from job-hunting to spend the day lying in the sun. One time, they even made a huge castle with a moat. The castle had steps they could climb, and the moat actually held water. It took them almost the entire day, but the pictures they took made it all worth it. They had also shared a weeklong trip to Lindsay’s Bible camp. It was a spiritual experience for Lindsay, who used the time to deepen her relationship with God. She enjoyed being able to bring her friends into that part of her life—even if it was just for a week. Macy, more than the others, showed some interest and said that she’d like to attend youth group with Lindsay when it started up again in the fall. All four girls enjoyed the canoe trips—even the one when the boat capsized and they got drenched. They swam in the lake and played beach volleyball. The week they spent at camp was a good end to what they considered a perfect summer. Although there was a certain finality to their fun and freedom with the arrival of the school year, there was excitement too, as they took this next step toward growing up together. Lindsay took a moment to imagine what it would be like in the future. Next year, they would start high school. After several years, they would head off to the same college and room together as the plan had always been. At some point, they would each find someone to settle down with and get married. They had already figured out who would be the maid of honor for whose wedding. That way, they each got to do it once. And they would each be bridesmaids for each other. Then, they would have children. Hopefully, they would have them at around the same time so they their children could grow up together too. Beautiful plans built on beautiful friendships. . .what more could a girl ask for? “…One nation, under God, indivisible, with liberty and justice for all.” The Pledge of Allegiance ended, and all of the students sat down to hear about the exciting new school year. A fancy sports car on one side and a shiny, brand-new SUV on the other, Mrs. Daniels slid her car into a parking spot at the mall. More than any other year, shopping for school clothes this year was a very important task. Dani and Drew, identical twins, were starting the ninth grade—freshman year, the first year of high school. They knew full well how important their first impression was— well, at least Drew did. She had spent most of her summer planning and researching fashion trends, hairstyles, and makeup tips by reading fashion magazines. Not that it would do her much good, she often thought. Their parents didn’t allow them to wear makeup; and her long, straight, dark hair looked just like her sister’s and was cut and styled in the same style they had always had. “Mom, I think it’s time for a change,” Drew announced as they walked through the parking lot toward the mall. “What kind of change?” Mrs. Daniels asked hesitantly. “Oh, it’s really not a big deal, Mom. I’d just like to get my hair cut.” Drew pulled a picture of a hairstyle out of her pocket and showed it to her mom. “Well, to be honest, I really don’t want to change my hair. And I like being ‘one of the twins’ as Drew put it. I guess I don’t see how that’s a bad thing. Why would changing your hair to look like a picture of someone else make you an individual anyway?” She asked pointedly, turning to Drew. “As long as you really mean ‘different than you have been’ and not just that you want to be different than me.” Dani tried not to be hurt, but it was difficult. First stop: Shear Expressions for a new hairstyle. The bell above the door jingled as they entered the store. Luckily, there wouldn’t be a wait because Drew was too excited and impatient to wait. She took her seat in the shampoo chair, and the stylist began to lather up her hair. After the shampooing was finished, she patted Drew’s hair dry and moved her to the station where she would be cutting her hair. “This is what I want.” Drew showed her the picture, ignoring the comments about her jeans. “Oh, that’s going to be easy enough and beautiful too. We’ll just take this hair of yours and cut some layers into it. We’ll probably need to take off about three inches, but you have plenty of length so it won’t even be that noticeable. Are you doing the same cut?” The stylist turned to Dani. Thirty minutes later, with dark hair in little piles all over the floor around her, Drew was staring into the mirror in front of her, getting her first look at her new self. She was stunned with what she saw. After looking at her sister for so many years, she was used to having a walking mirror right beside her. But now, as they both gazed into the mirror and took in the changes, they realized that a simple thing like a haircut signaled major changes afoot. Dani was sad when she saw the differences between them, but Drew was thrilled with her new look. “I love it!” She spun around to the right and then to the left and watched her hair bounce in waves around her shoulders. “It moves, and it’s free.” She didn’t miss the long, thick straight locks a bit. “It has personality. Thank you so much. You did a perfect job,” she said to the hairdresser. “I’m so glad you like it. I think it looks great too.” Both the hairdresser and Mrs. Daniels were a bit more reserved out of sensitivity to Dani. “Now I’m ready to shop.” Nothing was going to contain Drew’s excitement as they left the salon; she was thrilled. Drew was trying to be more of an individual, but even she could see the logic behind pooling their resources and sharing the clothing allowance; and she knew that Dani would agree. But Drew did have one trick up her sleeve that she decided to save for later in the day. They spent the day trying on clothes. It helped that both girls were exactly the same size and basically liked similar things. By the end of the day, they had successfully managed to supply their wardrobe with all of the basics they would need for ninth grade, including new winter jackets, jeans, tops, sweaters, belts, socks, pajamas, undergarments, accessories, and shoes. They were exhausted by the end of the shopping trip, and Mrs. Daniels was more than ready to go home. “I suppose that would be okay, but I’m done with dishing out money today. So what are you looking for, and what will you do once you find it?” Mrs. Daniels laughed. After they discussed their meeting time and location, Mrs. Daniels left the girls to their shopping. They hit all of their favorite stores again. Dani wasn’t too happy about it, though. “Why couldn’t you have done this while we were shopping earlier?” She asked Drew. Dani sighed and suggested they get started before they ran out of time. With her own money, Drew selected two snug, plaid shirts to wear over a tight black T-shirt that she found. The flannel shirts barely reached her waistband, but the T-shirt was long enough, so she thought it would pass. She also selected a cropped denim jacket that was covered in studded rhinestones. Dani liked the jacket, but it wasn’t really her style at all. Drew also picked a few cropped sweaters that, if worn alone, would be way too short for Mrs. Daniels approval, but with a T-shirt or tank underneath, would probably get by. Her favorite and most expensive purchase was a black leather belt with a big silver buckle covered in rhinestones in the shape of a big rose. Drew thought that it was unique enough to become her signature piece. “Oh, yeah! Mom, I found some really cute things,” the ever-excited Drew told her mom. “Yeah, real cute,” Dani said, rolling her eyes. “Okay, Okay, I’ll go get them.” Drew left to get her bags from her room. She stomped down the hall, careful not to be disrespectful but made sure that they knew she wasn’t too happy. Skeptically, Mrs. Daniels agreed to reserve her judgment until she had a chance to see the items on Drew. Mrs. Daniels raised her eyebrows, waiting. Dani had been sitting quietly on the other side of the room, watching the process and waiting for the verdict. She quietly got up and went to her room, softly closed the door, and got ready for bed. She wasn’t too happy, but she didn’t really know what it was that was bugging her. “Too many changes,” she whispered as she drifted off to sleep. Charlene Ann Baumbich is an award-winning journalist, author of the Dearest Dorothy series of novels, author of the nonfiction titles The Book of DUH! and How To Eat Humble Pie and Not Get Indigestion, and a motivational speaker who makes frequent media appearances across the country. CHAPTER ONE – REMEMBER WHEN? can become the key—the very path—to your success in not missing your life. flash cube transformed by fire into a crystal launch button? your complex. Don’t ask me how I know. the time, little did I know that my natural childhood inclination to live in “otherly"
fulfilling and rewarding joys of my entire life: writing this book. However, during an astute memory portfolio (MP) review, my writerly path and this burning message became as clear as a bell. When we give our MPs a chance to work for us, what obvious and meaningful threads we discover woven throughout them! Not only that, but what might the patterns of our frayed threads teach us—spare us from in the future—if we learned to recognize and heed their warning stitches? Turns out I am best fed, educated and ministered to by the magical, mystical power unleashed through stories, and hugely blessed by passing them along. I’m also often a complete doofus, a “qualification” God uses to make sure I don’t run out of fun and wholly relatable, so I’m told time and again, material. Thank you,God—I think. That is why I’m offering you this easy-going pluck-and-play opportunity to pluck what you want from this book of stories and play theirimplications and possibilities into your life as needed. Be advised that along with a full exploration of your MP, a strong Play! thread will weave its way throughout these pages. Doesn’t this approach add up to more fun than a scary “self-help” theme? true-self—not someone else’s version/vision—God-breathed life. I don’t know how we can forget such an easy-to-remember asset, but we do. So, if you feel like you’ve lost your way, or like you might need an emotional laxative for your fun-impaired, spiritually-constipated, fear-laden self, this message is just the painless ticket (well, mostly) to help you get your life back to YOUR LIFE! last learn to laugh about it, or at least unknot the emotional ties that feed its lifenabbing virility. playing with your favorite playmates. You are searching, remembering, rediscovering, reawakening . . .
well that counts, too. After all, it is your brain, your life. new friends, for that is the spirit I bring to this book. your uniqueness, if, somewhere along the line, you handed it over to the blandness of other people’s expectations for you. It’s time to reignite the Godgiven hope you already harbor within. their own TV shows if they didn’t know what they were talking about! Would they? can help you learn the vital art of questioning your assumptions. well illustrates my point. See how this is going to work? curb hugging front end. Centrifugal poetry set to motion by wild childs! Oh, baby! revel in their courage, since it means they held nothing back. Full bore. Head on. Havin’ at it! No put-puttin’for them! Isn’t that the way you want to go through life? sing praises. James 5:13. Notice that doesn’t say snap out of it, shut up or go away. Kinda sounds like God’s “Run what ya brung!" permission slip to me. Amen! this later) become a professional speaker, a professional writer (Stand back! Professional words at work here! ), I couldn’t for the life of me believe it. childhood that would one day help hone my happiness and ability to fully live. while God holds our hands and hearts. everything work together, will work you into his most excellent harmonies. We find what we look for, so let’s look for what’s right—including in ourselves. can be, indeed better than you think. God called his creation and everything in it—which includes us—good. startling and illuminating. Perhaps they’ll even be life transforming. then trust his grace to help you pray and play it into your life. Join in on the 2nd annual Book Blogger Appreciation Week coming September 14-18! 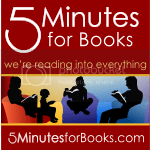 If you're a book blogger, click on the button above to sign up and participate. Or if you just love books, come hang out and win some giveaways while you're at it! I've been wrapped up doing the mom-thing (and love it), but recently came back to one of my first loves -- books. In the past I'd stayed away from Christian fiction, thinking it'd be cheesy. But then my sis-in-law sent me home with one and when I finally read it in Dec 2007, I've been hooked since! In this blog I post about books I've read and what I thought of them. They're (mostly) Christian fiction and non-fiction, but not all. 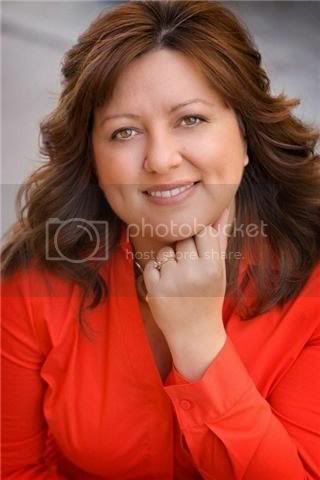 Tracey Bateman ~ Leave it to Tracey! She Likes me, she really, really likes me! 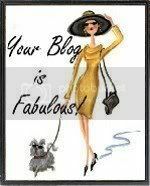 Check out my other blog, Life in the Estrogen Ocean, to see what's happening when I'm not reading.